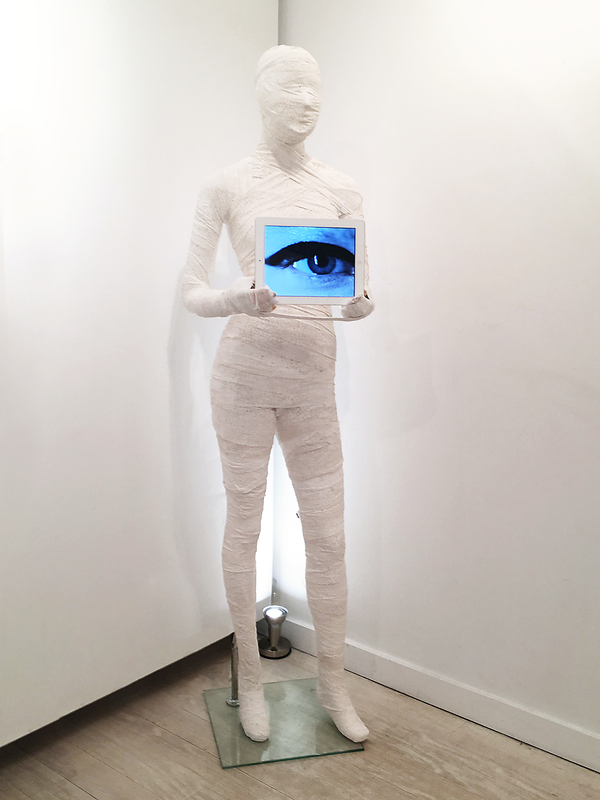 “WE ARE WATCHING (YOU)”, 2016-2017 is a life size sculptural work in the form a female mummy holding a video display. 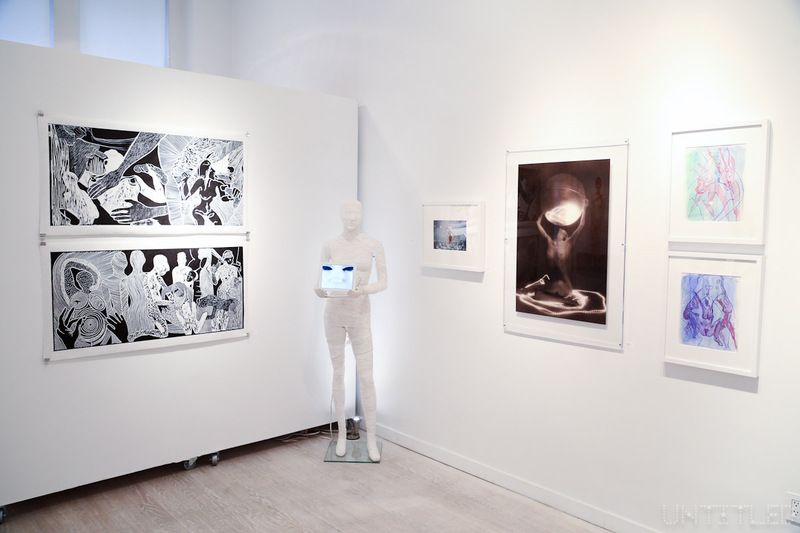 The work explores the concept of the female gaze of women in the past, present and future. Women throughout history have been bound and constrained by the pressures of society to look and behave in a certain way, physically and mentally restricted by social mores. 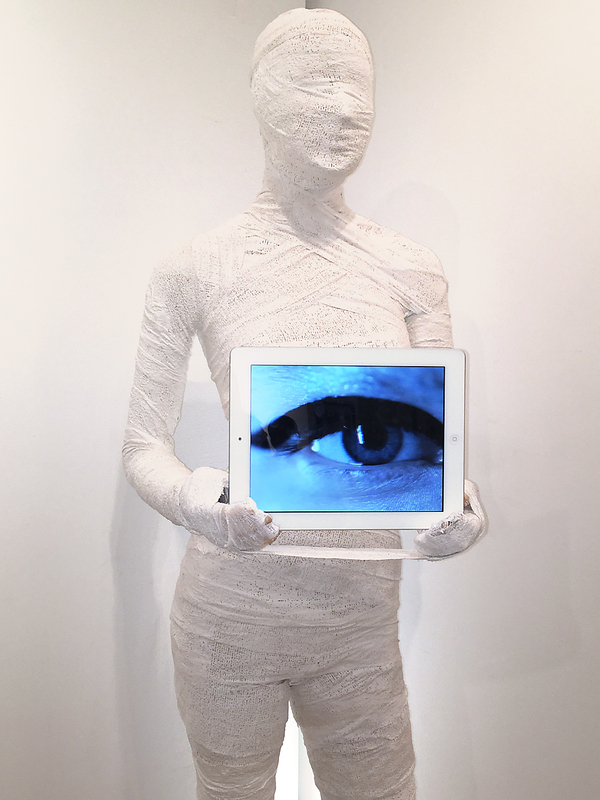 The mummy signifies past and future civilizations and how they would perceive our contemporary patriarchal culture, while the video featuring close up visuals of women’s eyes becomes a metaphor for the female gaze which is becoming empowered through the powers of the mummy. 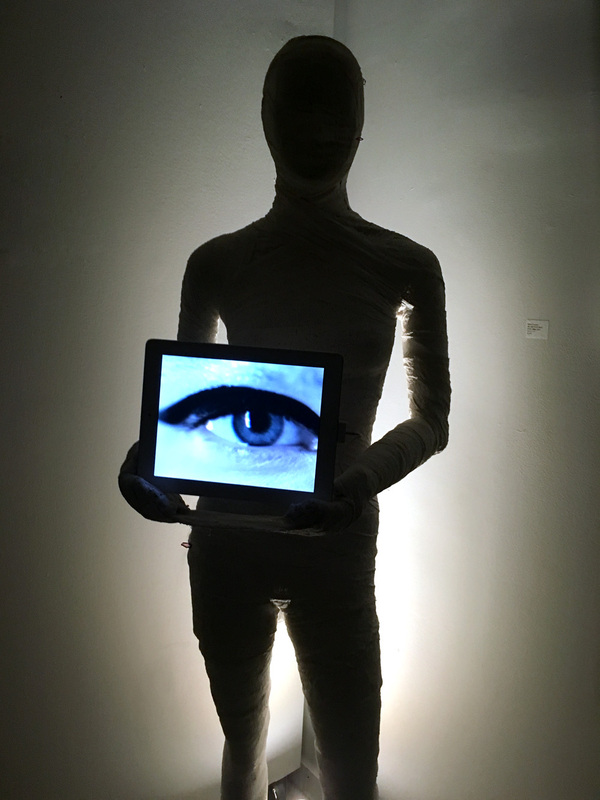 The women’s eyes observe the viewer (which is essentially contemporary culture or the audience) with an intense gaze, tuning in and out of static as if warping through time and space. 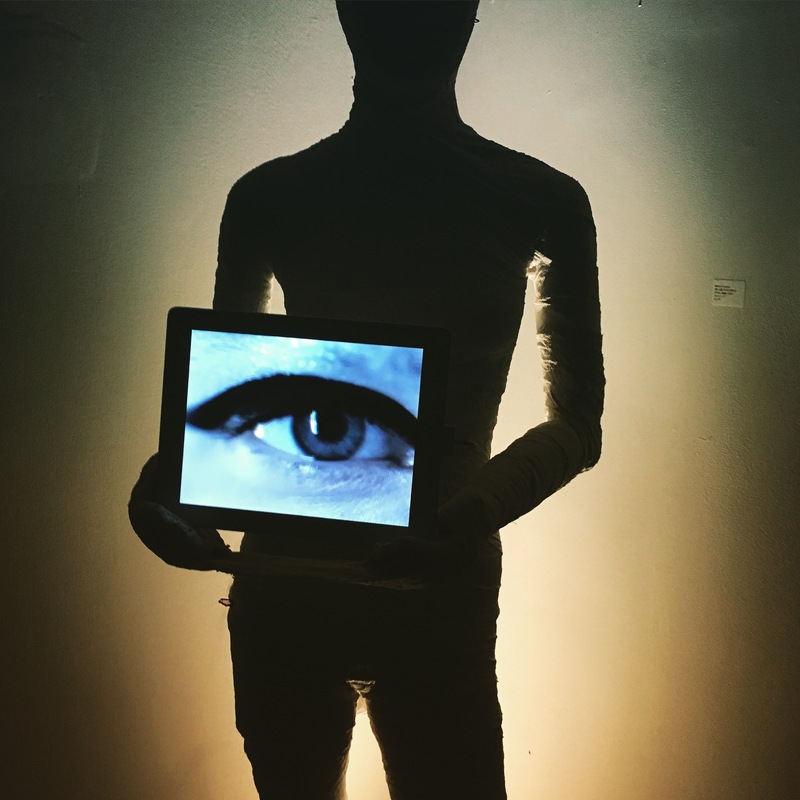 The women in the video are watching and observing the viewer, as if on a two way surveillance camera, a reference to “Big Brother” and George Orwell’s “1984” in which the populace is dictated to by a corrupt political regime which is under constant surveillance. 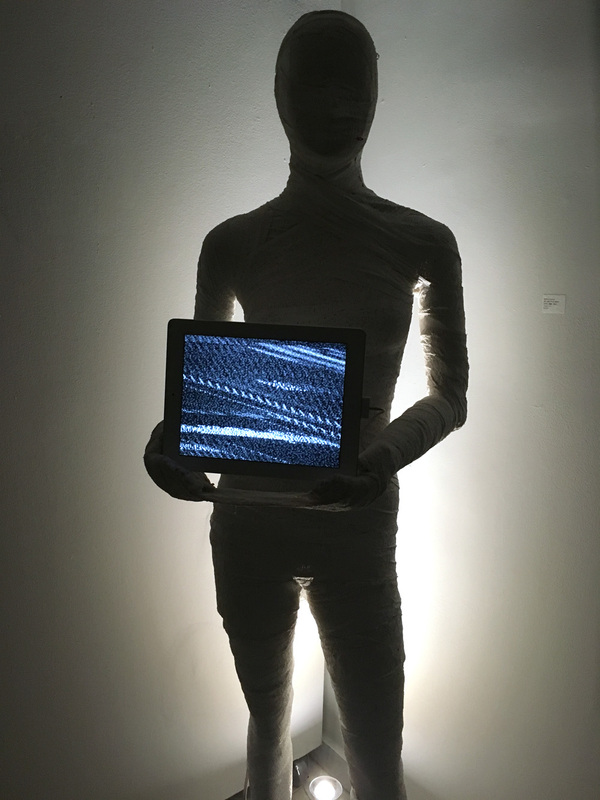 In “1984” surveillance becomes a means to control the populace, with two-way screens forcing citizens into obedience, as will the female gaze of the mummy. The women surveying the viewer walk towards the camera with empowered warrior-like stances as if challenging the viewer.